We are so certain that you will be very excited about your new found hobby that I’m giving you an unconditional 30 day return privilege. Just send back the product and I will pay the postage plus give you a complete refund. Today is the day to get started in this great painting activity! You’ll not regret it – and you’ll be involved in a network of people from around the country that share your love of encaustics. This will provide you with the tools, waxes and instructions to get started. Also known as “hot wax painting” involves using heated beeswax to which colored pigments are added. The liquid/paste is then applied to a surface. This is usually glossy paper. A special iron along with a stilus is used to apply the hot wax onto the paper. This technique was notably used in the Fayum mummy portraits from Egypt around 100-300AD, in the Blachernitissa and other early icons,as well as in many works of 20th century American artists, including Jasper Johns and Fernando Leal Audirac Kut-kut, a lost art of the Philippines, implements agraffito and encaustic techniques. It was practiced by the indigenous tribe of Samar around 1600 to 1800. Artists in the Mexican muralism movement, such as Diego Rivera and Jean Carlot sometimes used encaustic painting.In the 20th century, painter Fritz Faiss (1905-1981), a student of Pual Klee and Wassily Kandinsky at the Bausaus,together with Hans Schmid, rediscovered the so-called “Pinic wax” technique of encaustic painting. Faiss held two German patents related to the preparation of waxes for encaustic painting. One covered a method fro treating beeswax so that its melting point was raised for 60 degrees Celsius to 100 degrees Celsius (from 140 to 212 degrees F).This occurred after boiling the wax in a solution of sea water and soda three successive times. The resulting harder wax is the same as the Punic wax referred to in ancient Greek writings on encaustic painting. 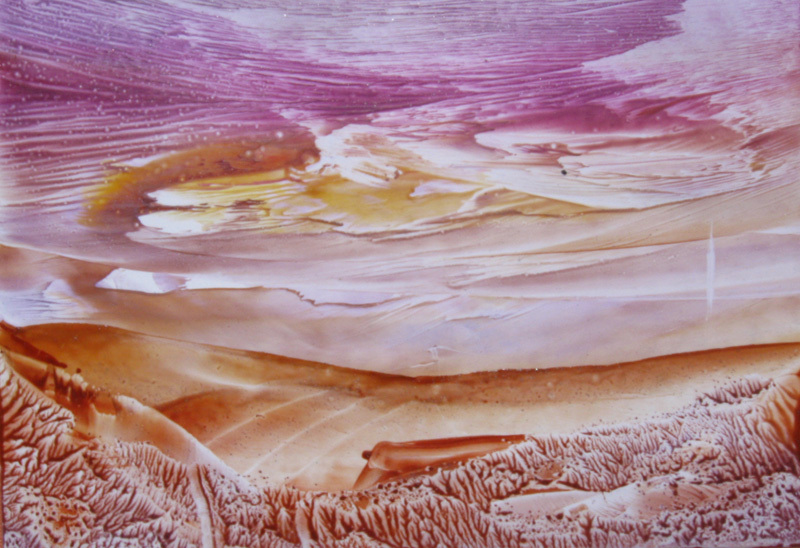 Encaustic art has seen a resurgence in popularity since the 1990s with people using electric irons, hotplates and heated stylus on a variety of different surfaces including card, paper and even pottery. The iron makes producing a variety of artistic pattern elementary. However, the medium is not limited to just designs; it can be used to create complex painting, just as in other media such as oil & acrylic. Anybody can do encaustics! You need no special talent - just the desire to paint. GET THE DELUXE KIT AND START CREATING!